Deciding you want to buy a castle is easy. The hard part is knowing where to look for one. That’s where VIP Castle comes in: this specialty brokerage firm focuses exclusively on selling castles and other historic buildings. According to Bloomberg Businessweek, Natalia Makovik founded the firm in 2007 after making the move from Belarus to the Czech Republic eight years prior. Unable to afford one of the country's more than 2000 castles and chateaux, Makovik decided to turn her passion for historical architecture into a career. "I believe it lies in that magic childhood dream of wanting to become the princess of a castle," Makovik tells mental_floss of her inspiration behind the move. More than five years passed before Makovik sold her first property, but today she’s closing up to three deals a month, with some buildings selling for nearly $4.5 million. Not every castle she sells is limited to the mega-rich; people browsing properties on VIPCastle.com can narrow their search to "affordable castles." While that may sound like an oxymoron, the prices are often comparable to much humbler homes here in the states. 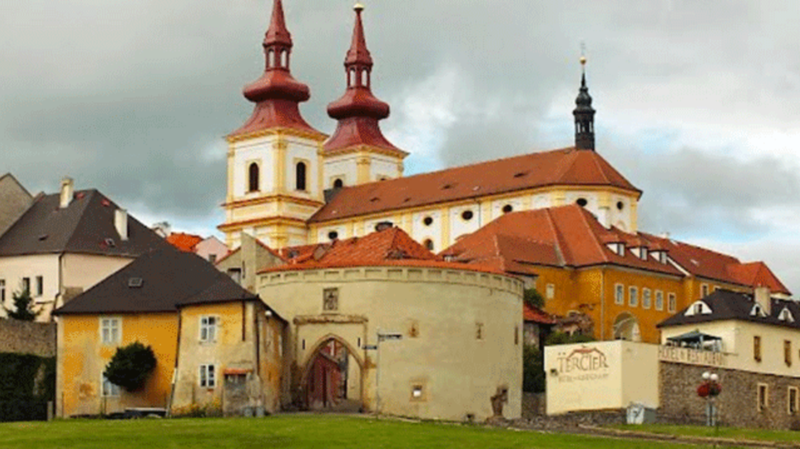 The Kolovratsky Castle, for example—which Makovik's website describes as an "historical monument of the Czech Republic"—is currently listed at an asking price of 19,000 € or around $21,000. To put that into perspective, the median price of a one-bedroom apartment in Manhattan is $710,000, according to The New York Times. The trade-off is restoration expenses, which can sometimes end up costing castle owners 10 times the purchase price. Compared to other parts of Europe, a dilapidated castle bought in the Czech Republic is still a great bargain. "The Czech historical properties market is considered one of the most attractive areas for investment," says Makovik. VIP Castle specifies that non-residents are also allowed to buy historical properties in the country, so anyone is free to search through the company's online listings (there are currently 35 of them). "Anyone can buy an expensive car," says Makovik. "Owning a castle is rare."